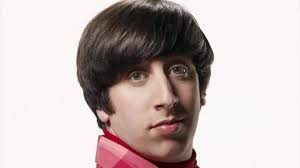 Simon Helberg is an American actor and musician, best known as Howard Wolowitz in the series The Big Bang Theory. He became popular from sitcom MADtv and web miniseries Dr. Horrible's Sing-Along Blog. Simon Maxwell Helberg was born on December 9, 1980, in Los Angeles. His parents were an actor Sandy Helberg and director, Harriet Helberg. Simon joined the middle and high school at the Crossroads School in Santa Monica, California. Later, he enrolled New York University's Tisch School of the Arts. He took training at the Atlantic Theater Company to pursue an acting career. Simon began his early career from the sketch comedy, Derek, and Simon. Then after, he joined the cast of MADtv in 2002. In the same year, he appeared in the feature movie Van Wilder. In the following year, he appeared in Old School. Furthermore, he also made an appearance in the film A Cinderella Story. Besides that, Simon did a minor role in the movie Walk Hard: The Dewey Cox Story as a Jewish Record Producer. Above all, his popularity reaches to the peak level after he starred in the CBS sitcom The Big Bang Theory as Howard Wolowitz. He appeared in the series along with the co-stars Jim Parsons, Melissa Rauch, Kaley Cuoco, Kevin Sussman, Kunal Nayyar and Sara Gilbert. In 2014, he served as a voice actor for The Tom and Jerry Show as Napolean in three episodes. He also did movies like We'll Never Have Paris, Hollywood Adventures, Florence Foster Jenkin and others. Twitter: Simon Helberg advertising Florence Foster Jenkin on his social site. Moreover, he is also executive producer of I am I. Adding more, he served as Director, Writer, and Producer of the movie We'll never have Paris. He is also a musician and plays piano very well. Simon Helberg married long-term girlfriend Jocelyn Towne on July 15, 2007. Jocelyn Towne is an American, actress, and producer, best known for Havoc and I Am I. According to the source, Simon dumped his wife prior to his marriage. He revealed in an interview that he split with Jocelyn only to marry her. The duo is blessed with two children named Adeline, born on May 8, 2012, and Towne Helberg, born on April 23, 2014. They are perfect for each other and there is no any sign of their separation. As an established actor, writer, and producer, Simon earns excessive wealth. His source of income includes television shows and movies. In addition, he received 100 thousand dollars for every episode of the show. So, it is obvious that his net worth is more multi-million and is also ranked as the richest television star. With all his hard work and devotion, Simon has added million dollars in his net worth. As of 2017 net worth estimation, his net worth is estimated to be $24 million.